Jeremy sets the bar high across Atlanta, leading the charge by delivering quick & quality service. Whether it’s lawn mowing or shrub trimming, leaf cleanup or pressure washing – if you name it, Jeremy can do it. It’s no wonder he’s our most requested Provider across our southern territories. It may come as a surprise that Jeremy started his career in the automotive world, at a company that employs thousands. He had a voice amongst those he managed, however his innovative ideas for efficiency were rarely heard. Jeremy decided to step out on his own and utilize his skills in management, communication, and service. He detailed his experience with property preservation; the properties being in poor, run down conditions, pre determined pricing and depending on the severity of the property the rates were consistently underpriced. These types of laborers deserve a ton of credit, performing strenuous physical labor while getting close to nothing for the quality and quantity of work provided. It was at this point that Jeremy was ready to throw in the towel and venture into something else. Sometimes you have to hit rock bottom to channel inspiration and this was certainly the case. While his schedule remained steady, and his business thriving, Jeremy had lost passion for the property preservation business and his time in it. It was then that he considered transitioning back into the corporate world and leaving business ownership behind him. 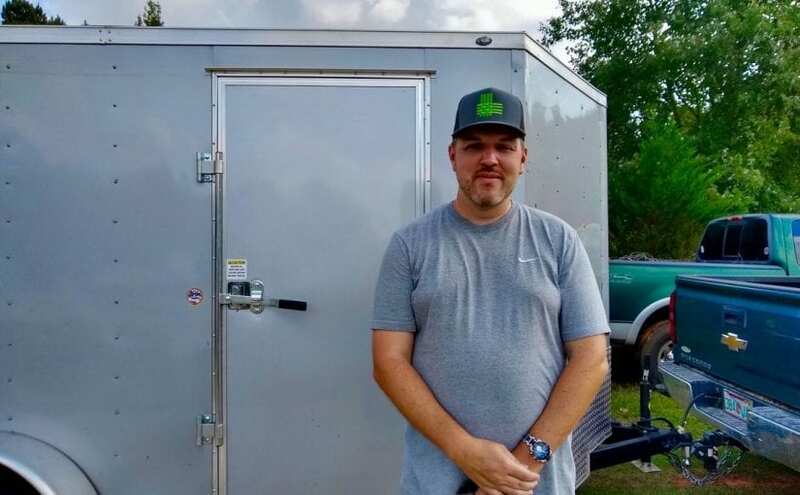 “I got my equipment cleaned up, serviced and ready to sell when I came across a billboard for one of your competitors and researching that company in the similar apps section I found LawnGuru,” he said. Instead of selling his equipment, he thought it’d be wise to put it to work with the help of these new apps to maximize profits, and this is when his landscaping company was born. Jeremy signed up for LawnGuru and just two days later completed his first job with us. June 2017 marked the beginning of our relationship. Fast forward to present and Jeremy now has two full time crews and has completed over 1400 jobs. As a business man, he explains that LawnGuru is what helped resuscitate his business into the thriving landscaping company you’ll spot around metro-Atlanta today. He loves the ease of being able to accept jobs as he pleases without all of the customer acquisition hassles. So what’s his favorite part about LawnGuru? And no this is not a sponsored ad, but we did ask him to elaborate. The camaraderie between LawnGuru and our Pros is what most love. We built LawnGuru to bring the archaic industry into the 21st century, while also being accessible to Pros who aren’t traditionally tech savvy. We like to build long and lasting relationships with our Pros, which is why our agents are here to help them get setup with the app, accept their first jobs, solve challenging customer queries, and really answer any questions they have as they arise. Jeremy has an inspiring message for everyone who considers taking a chance on something new. It’s clear Jeremy is a hard worker, but what exactly does he do when he’s not mowing? He hikes with his wife and his (four) dogs, of course! 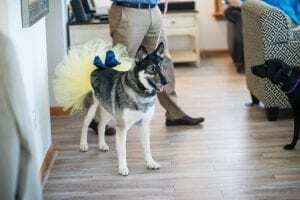 It was clear from our interview with Jeremy that he has an incredible support system back at home in his wife Kellee, and his wolf pack: Violet, Bailey, Basha and Auggie. Are you a provider using LawnGuru? Submit a nomination to become the next Pro of the Month! Simply give us a call or email support@lawnguru.co to be considered. Read more about our previous Provider of the Month here!